Quiet location, minutes from Univ. of FL, Shands Hospital & VA Hospital. Near bus district and Hippodrome Theatre. Guests enjoy an outdoor pool, and all rooms feature micro-fridges & premium movie channels. 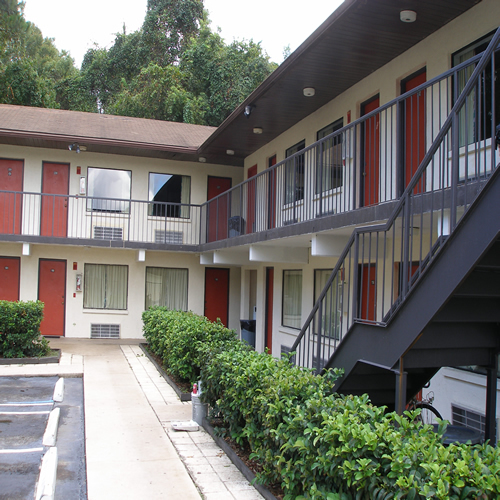 King rooms & non-smoking rooms available.